If you're looking to delight a child, it's hard go wrong with a trip to the farm. 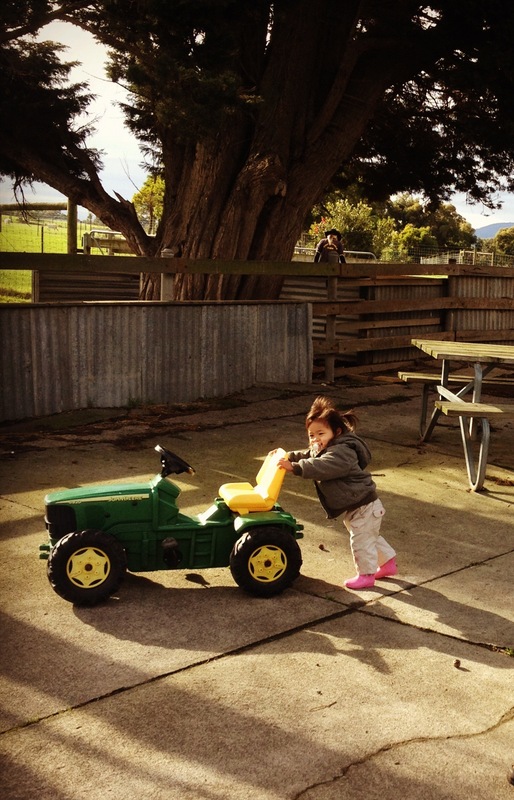 Chesterfield Farm is situated on Ferntree Gully Road in the centre of Scoresby, which means you don't have to go far to give your child a taste of the country. Chesterfield has everything Old Mac Donald ordered, from sheep and cows to chickens, emus and ponies. Because it's a real farm, you get to see the animals in their barns and fields doing whatever they do each day. Munching, sleeping or sitting in the hay may not seem very exciting but bring a child and you'll get a different review. The set up is nice and open so you can wander around the different sections without bumping into many people. For a more educational experience, the farm shows provide insights on farm activity like cow milking, shearing sheep and watching the shepherd dogs at work. Throw in some catchy country music and you've got a sure winner with the kids. The farm also offers tractor rides for $3. But if your child doesn't need the real thing, there are plastic John Deere ones which could be just as fun. They're located in the courtyard next to the barn, a nice playing spot for the kids with picnic tables nearby. For kids who're more used to seeing their animals on TV, Chesterfield offers a refreshing change. With its many versatile activities, it suits children of all ages, whether you just want to watch a pony eat or take on some serious cow-milking.